321839927 – NOTE: You are purchasing a standalone product; MasteringChemistry does not come packaged with this content. If you would like to purchase both the physical text and MasteringChemistry search for ISBN-10: 0321839765/ISBN-13: 9780321839763. That package includes ISBN-10: 0133871975 /ISBN-13: 9780133871975 and ISBN-10: 0321839927ISBN-13: 9780321839923. For one or two semester biochemistry courses (science majors). Biochemistry: Concepts and Connections engages students in the rapidly evolving field of biochemistry, better preparing them for the challenges of 21st century science through quantitative reasoning skills and a rich, chemical perspective on biological processes. 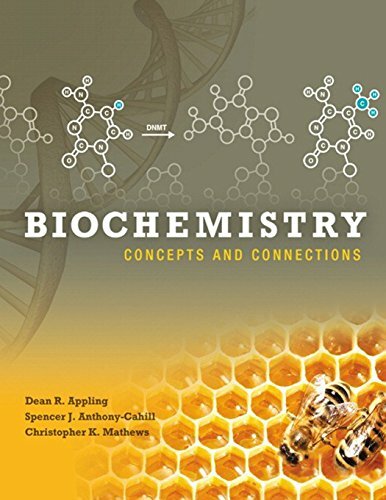 This concise first edition teaches mixed-science-majors the chemical logic underlying the mechanisms, pathways, and processes in living cells through groundbreaking biochemical art and a clear narrative that illustrates biochemistry’s relation to all other life sciences. Integration of biochemistry’s experimental underpinnings alongside the presentation of modern techniques encourages students to appreciate and consider how their understanding of biochemistry can and will contribute to solving problems in medicine, agricultural sciences, environmental sciences, and forensics. The text is fully integrated with MasteringChemistry to provide support for students before, during, and after class. Highlights include interactive animations and tutorials based on the textbook’s biochemical art program and Foundation Figures to help students visualize complex processes, apply, and test conceptual understanding as well as quantitative reasoning. MasteringChemistry from Pearson is the leading online homework, tutorial, and assessment system, designed to improve results by engaging students before, during, and after class with powerful content. Instructors ensure students arrive prepared by assigning interaction with relevant biochemical concepts before class, and encourage critical thinking, visualization, and retention with in-class resources such as Learning CatalyticsTM. Students can further master concepts after class by interacting with biochemistry animations, problem sets, and tutorial assignments that provide hints and answer-specific feedback. The Mastering gradebook records scores for all automatically graded assignments in one place, while diagnostic tools give instructors access to rich data to assess student understanding and misconceptions.